The group running the radio ads was Families for Alaska’s Future – Dunleavy. Nearly all of its money is from the Washington, D.C.-based Republican Governors Association — a GOP political group whose big donors include casino billionaire Sheldon Adelson and his wife, Miriam, Nike founder Phil Knight and Koch Industries. The Dunleavy group’s chair, Anchorage media executive Steve Strait, said the disclosure is comprehensible to his “trained ear.” But he acknowledged that there’s a “tendency to speed it up” when groups like his are paying steep prices for their ads — as much as $10,000 for a single, 30-second television commercial. The group, out of what Strait described as “an abundance of caution,” slowed down its disclosures after Gara complained. 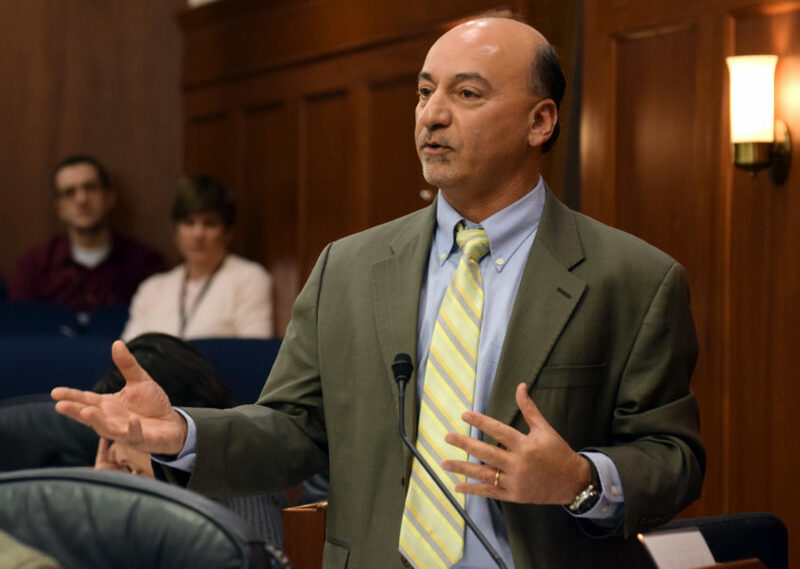 The agency that regulates Alaska’s campaign finance laws, the Alaska Public Offices Commission, declined to issue an expedited decision on Gara’s complaint before the election, saying that since the disclosure was fixed, it could deal with any violations later. Gara argued that the disclosure broke the state’s law because it made it impossible to hear who was actually funding the messaging, and why the group might be supporting a particular candidate. With Alaska’s political campaigns coming down to the wire, you don’t have to look very hard to find other ads testing the law’s limits. One recently-posted satirical online video featured an anonymous person pretending to be the late U.S. Sen. Ted Stevens. From beyond the grave, Stevens tells voters to get rid of the Democratic gubernatorial candidate, Mark Begich, and vote for Mike Dunleavy. The short video was shared by a conservative website. But there’s no disclaimer on it saying who created it or who paid for it, which is likely a violation of campaign finance law, according to APOC officials. The agency, according to Executive Director Heather Hebdon, has two employees who monitor ads and respond to phone calls about possible violations. But she said there’s no way the agency can effectively monitor all the ads and communications from campaigns and other groups this late in the election. She estimated they’d need three more people just to stay on top of it all. Lawmakers shrank the agency’s budget by more than one-third during the state’s budget crisis. This story was written by Zachariah Hughes and Nathaniel Herz.